What I’m about to share with you can be completely life-changing! If you are a serious distributor and have done everything in your will power to successfully build a large team of distributors, yet failed, this information will blow your mind. You see, our great industry started out in the 1950s as direct selling. Yes, people recruited others into the business as well, but the primary focus was making sales with a solid customer base. When getting customers was the primary focus, our industry had a great reputation and people made a decent income with their part-time business. In most companies today, distributors are only taught to RECRUIT, RECRUIT, RECRUIT. While there are merits to recruiting and building a large team of distributors, there are also some major problems with it. First and foremost, a large percentage of the people you talk to about your business opportunity will not be interested in it (probably 98% to 99% of your prospects). That means that you spend lots of time and money generating leads, only to have an overwhelming majority of them not be interested in what you are offering them. The next major problem with just recruiting is the attrition. Even if you are fortunate enough to sponsor someone, the likelihood of them sticking around more than 30 to 90 days is highly unlikely. I’ve sponsored hundreds of people during the past 12 years and an overwhelming majority quit in their first year (at least 90% of the people I sponsored) and most of those folks quit in their first month. That means that even if you are good at sponsoring people you will have a revolving door in your business and you will have to constantly replace people. When your distributor quits building the business they usually stop ordering the products! So your volume is always on the downslide. The next major problem with just recruiting distributors is that most of them will not get on auto-ship or even consume the products. So even if you sponsor lots of people, if they don’t use or sell the products, you make ZERO money. The final downside of just recruiting is that it typically takes a long time to make a decent residual income. If, for example, you earn $3 per ACTIVE distributor on your team, you would have to have 333 Active Distributors just to earn $1,000 per month. Now, I know each company is different. The compensation plans do vary slightly. But in most MLM Companies you will need at least 500 people on your team just to make a few thousand dollars per month. The odds of you ever building a team of distributors that big is highly unlikely. And the odds of keeping those distributors active is even lower. Is any of this hitting home with you? Can you relate? I followed this traditional business building path (recruiting distributors) for nearly ELEVEN YEARS, just to keep being let down and disappointed. What I eventually learned was that there was a better way to build your MLM Business. As I see it, the best way to build your MLM Business is with retail customers, not distributors! That’s right; people who buy the product because they like them and see a value in the products, not because they are in a business opportunity and HAVE to buy the products. Now, I know what you’re thinking right now. You’re probably wondering about the residual income aspect, thinking there is no residual income by only having customers. Or, you might be wondering HOW you will get customers in your business. The truth is, THIS IS THE BEST WAY TO GO. # 1 Larger Target Market – If you talk to 100 people about your business opportunity, you might find 1 to 2 people who are interested and sign up. However, if you approached those same 100 people about your products, and becoming a customer, there’s a good chance that 20 or more of them would be interested. Do you see the difference? # 2 Immediate Profits – What I love about retailing the products is the immediate profits in my business. I can personally make 20 to 50 percent per sale, so when I make a sale, I get paid instantly. # 3 Bigger Profits – I would make a lot more money in my business by having 100 personal customers than I would by having 100 distributors. The commissions from my downline member’s sales and orders is much smaller, normally 1% to 13% depending upon my achievement level and where the people are in my organization. By having customers I get bigger profits. # 4 Higher Retention – We all know that distributors quit very quickly. However, customers who like the products and enjoy the benefits of the products are more likely to stick around. This leads to residual income, more orders and higher retention. # 5 Repeat Orders – Once again, customers who enjoy the products and see a value in them are more than likely to make repeat orders, which puts more money in your pocket and creates a residual income. # 6 Less Rejection – When you talk to people about the products you will get less rejection. You won’t hear the pyramid or scam objection. More people will be open to listening to what you have to say when you use this approach. Compare the benefits of getting customers to just recruiting distributors and I’m sure you are starting to get the picture. I hope so anyway. You see, you’ve been lied to! If you’ve only been taught to recruit, recruit, recruit, you are leaving a lot of money on the table and you are working a whole lot harder than you need to be working. I just started using this concept of getting customers in my business just a few months back and I am already seeing a huge difference. I only wish I would have started this practice much sooner. Better late than never though. From this day forward, I still recruit, but my primary focus is on getting customers and making sales. Sponsoring distributors is a byproduct of getting customers, not the other way around. 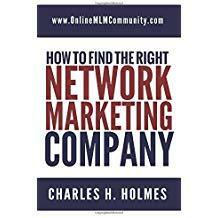 I hope this idea makes sense to you and I hope you will become customer focused in your MLM Business. Who doesn’t like more money and more loyal distributors? Leading with the products is the best strategy as I see. People who believe in the products and then get involved with the business are by far more and dedicated to the company because they have their own experiences with the product to back them up. And as you pointed out, you make more money of of the products than the distributors anyway, so why not lead with the products. Even if a person doesn’t become involved, a sale of the products still results in a positive outcome. Finding loyal customers is definitely the best thing you can do. I agree wholeheartedly. If you have a large base of customers buying the product for themselves because they love it, the orders might be smaller, but they will be more consistent. And you will not have the revolving door of orders just to replenish the stock of those who may or may not still be working for you in a few months. I agree with Greg, also, that these people that already love and use the products will eventually make the best recruits: ones that will stick with you because they are primarily ordering for themselves. I wanted to also mention in this post Chuck, by selling the products before the distributorship, you can build testimonials. Ask customers to give a simple testimony on how they enjoy the product. It can be a great way to promote your products and also gain prospects for your down-line. I suggest offering the testimony provider a free product for giving it. You could possibly put it in a video format which you could use on your website or blog, or even in an eBook. Yes, you can put videos in eBooks. The possibilities are endless. Testimonials are a great way to get customers. Yes, they are Chuck. Something else came to my mind as I reread this great post. You had mentioned the loss of residual income by having retail customers, but in all actuality, you can still create residual income through this process too. How, you ask? Auto ship can be a way to create a residual income. If you have a customer who orders the same thing ever so often, by getting them on auto ship, you save yourself delivery and create a residual income. Getting customers on auto-ship is definitely a wise move. Yes Chuck, I am in total agreement with retailing your product should be your first priority. Without the products being sold, I don’t see the home office lasting long. The whole idea is selling the product. This will also show the belief you have in the MLM you have joined. If you want to sell the products because you believe in them, your downline will just fall into place. People will see your go-getum attitude and will want the same opportunity. Thanks for the comment, Greg. Great minds think alike.